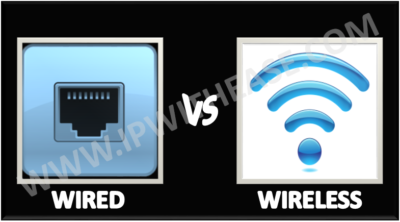 In networking world, “Wired” as the name suggests refers to any physical medium connected through wires and cables. The wires/cables can be copper wire, twisted pair or even fiber optic. Wired connectivity is responsible for providing high security with high Bandwidth provisioned for each user. Infact Wired connectivity is considered highly reliable and incurs very low delay unlike Wireless connectivity. “Wireless” as the term refers, uses air as medium to send electromagnetic waves or infrared waves. Wireless devices have antennas for communication .Wireless connectivity provides major benefit of user mobility and ease of deployment. Wireless becomes more useful in areas where Wires can’t be reached. Though wireless connectivity is less secured and higher delay than wired connectivity, it is still preferred communication technology for customers. 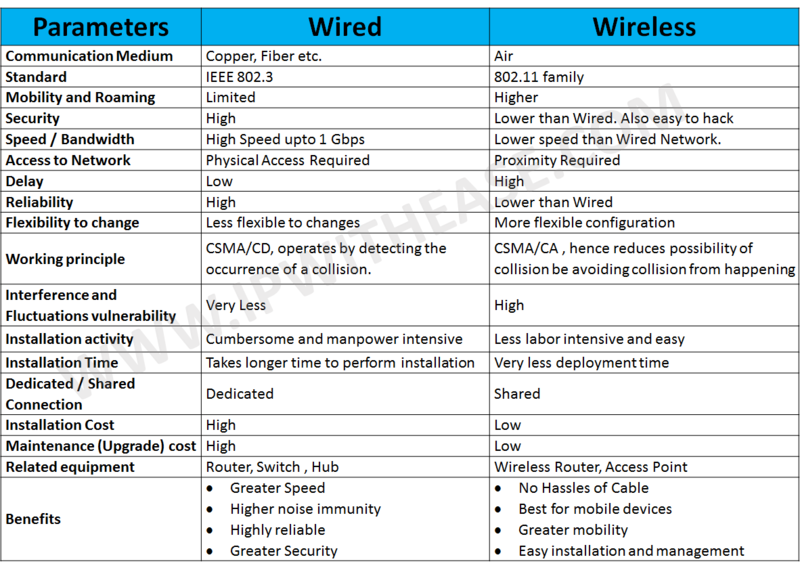 Wireless also earns low Installation cost in contrast to wired connectivity.